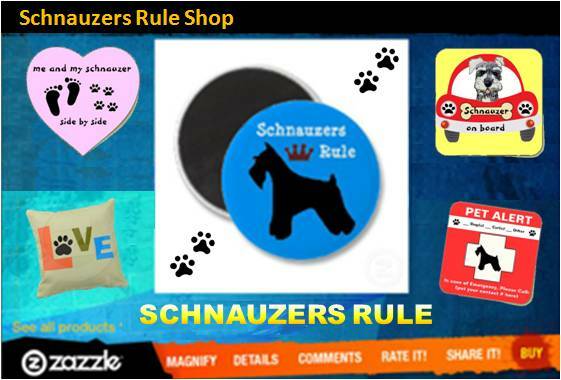 I grew up with a Giant Schnauzer, Tara, and though I was an only child, I was never lonely. 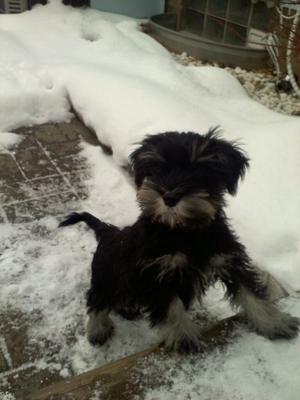 Now out on my own, and in smaller living quarters, I opted for a miniature schnauzer. One day while at work I received a call from my boyfriend. 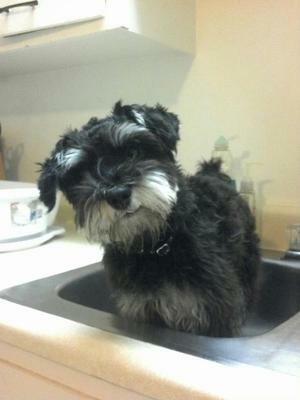 He tells me there's an ad for miniature schnauzer puppies for far less than normally seen. I took my chances and made the best decision ever. The breeder was moving and needed to lessen his puppy load asap. 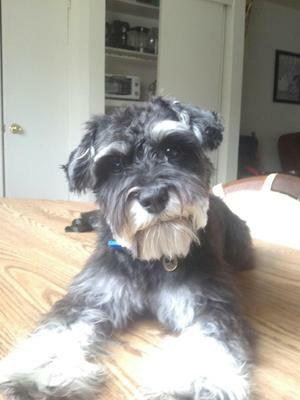 He had them registered and given first shots and even provided me a letter from his vet for disclosure of health. 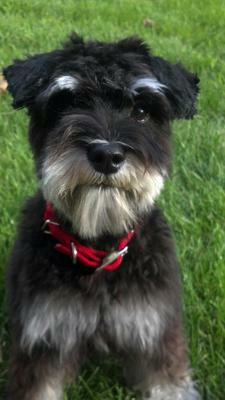 Now just shy of 2 years old, Molly is everything you would expect from the schnauzer. She's so loveable and full of energy. She insists on following us everywhere. She enjoys fetch, but most of the time one toy is just not enough, so she'll keep her "tug" toy between her teeth and kick her ball around like a soccer ball. She's gotten so used to giving the "high five" before receiving a treat that she'll sit with her paw in the air while we're eating just to let us know she wouldn't mind joining us. She loves playing with other dogs her size but cowers a bit to the bigger ones. She loves people, especially those with toys, or treats, obviously. At the end of the day you'll find her stretched out under the covers taking up more room than the two of us.